Every year, we are consistently reminded of what an excellent community of individuals we are surrounded by and fortunate to work with. This year is no different! Thank YOU to all our wonderful friends for this past year of project collaboration – to each of you, client, architect, builder, sub-contractor, vendor, teams we’ve designed with and so many more – we couldn’t do what we do without you! We are so very grateful for you. 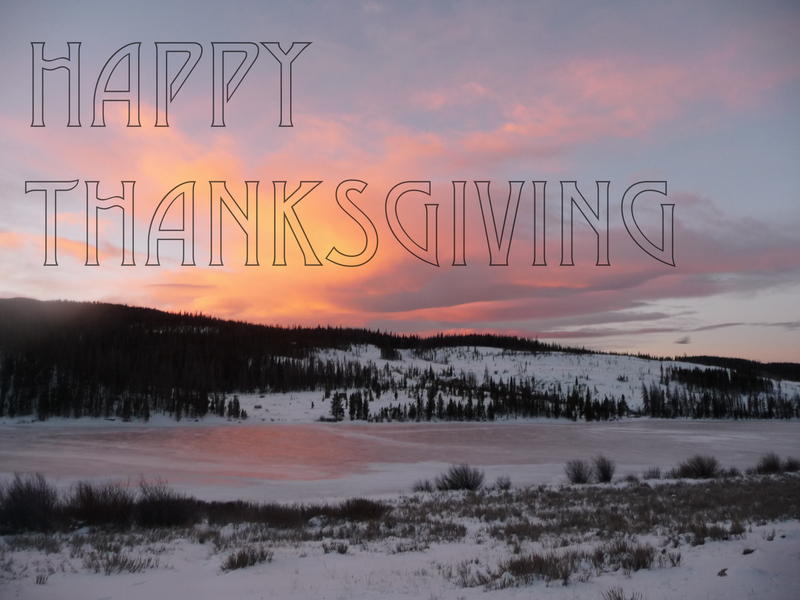 Wishing you and yours a fantastic Thanksgiving! 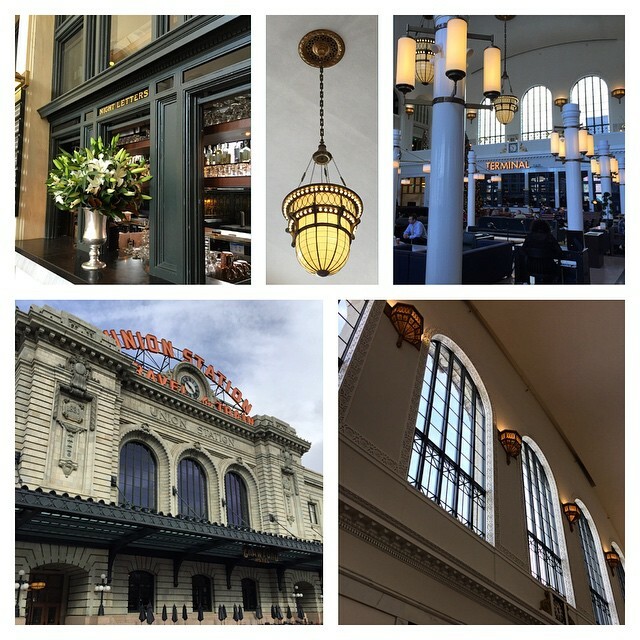 Our Associates III team was treated to an overview tour of Denver’s Union Station this morning with the incredibly knowledgeable Ken Schroeppel, founder of Denver Urbansim and Denver Infill. Our brains are full of great information now! We’ll share more after we have a chance to process it all. Stay tuned! Q: What is Australian Rules Football? 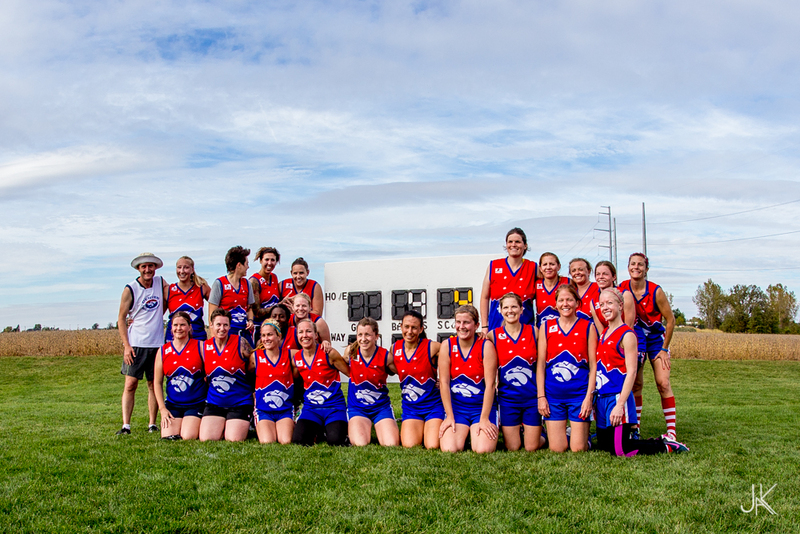 Aussie Rules is by far the most exhilarating sport I’ve ever played! First, to clear up any confusion, Australian Rules Football is NOT rugby. It is fast paced, high scoring, full contact, and unlike rugby, the ball can be passed in any direction. To an outsider, it may look as though there are no rules, but that’s not the case. The ultimate goal is to get the ball through two uprights after having successfully moved the ball down the field utilizing kicks and occasionally a hand ball. The field is oval shaped, and can range in size from 135 – 185 meters in length to 110 – 155 meters in width; that’s more than two soccer fields wide! Q: How did you get involved? Tell us about the Denver Bulldogs. Jimbo Baldwin, who played for the Denver Bulldogs for many years, placed a business card on my car window inviting me to Aussie Ball, which is the co-ed non-contact version of the sport. I was very nervous, but I went anyway and scored something like 10 goals that first night. I was hooked and fell in love with the sport. 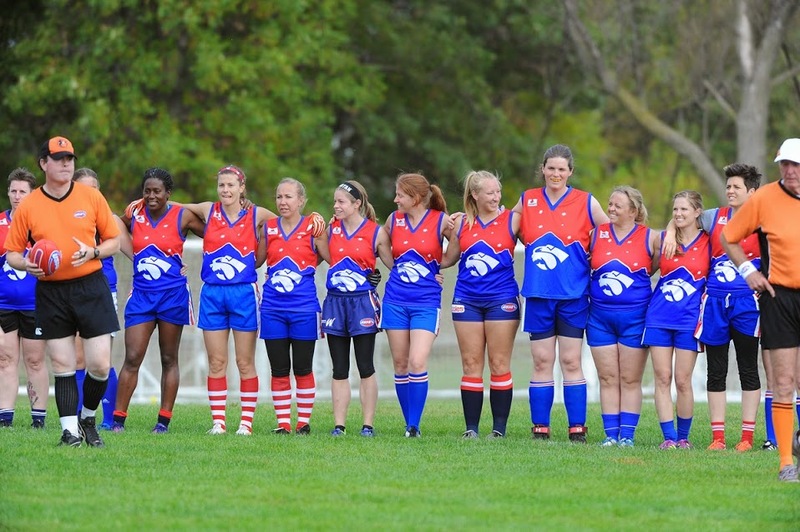 The Denver Bulldogs is to date the most successful club in the USAFL; the Men’s team has claimed 8 Division I National titles, and this year the Women’s team made history, bringing home our fifth consecutive National Championship, something no other women’s team has ever accomplished. We are already strategizing for number six! Q: Impressive! You’re five time National Champions? What’s your secret? Training at altitude, of course! Kidding…I know for a fact that we have the best coach in the country, maybe even North America. Bruce has the exceptional ability to analyze the skills of rookie players and veterans alike and highlight their strongest proficiencies, while also helping each player improve their overall understanding of the game. He is incredibly patient with us and has a great sense of humor, which is necessary when coaching a bunch of women who love to tackle. 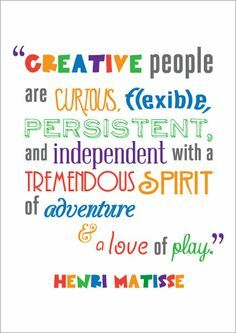 We train hard, play hard, and most of all we have heaps of fun doing it! 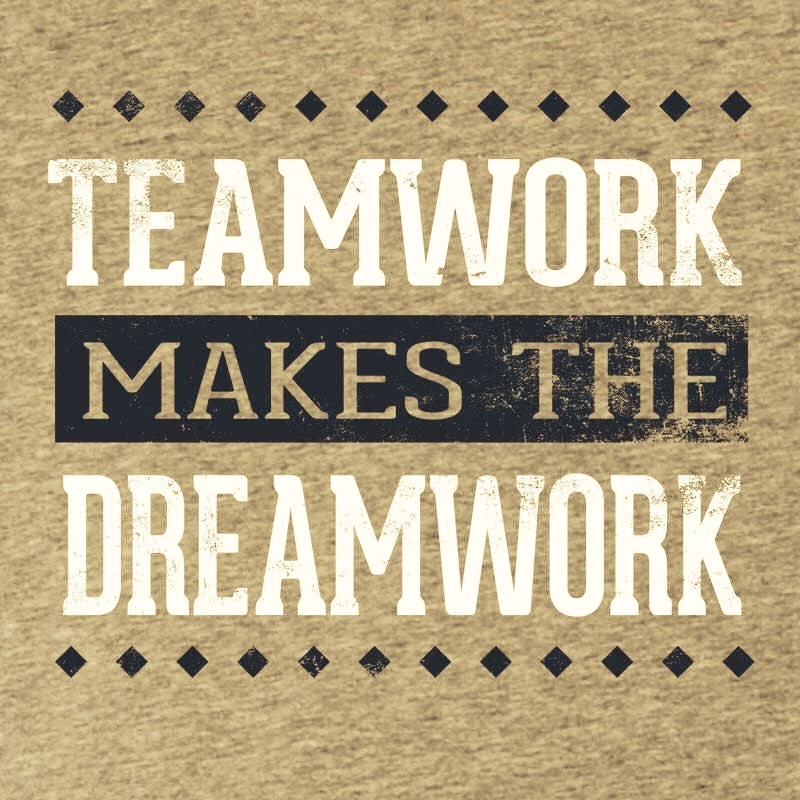 The Denver Bulldogs is more than just a group of athletes; we are a family, a network of professionals from diverse backgrounds, and we are a social support system. We celebrate the wins together, and also commiserate the losses as a unified club. Add to that passion and enthusiasm for the sport, fierce determination and our love of winning, and there’s a recipe for success. Q: If someone wanted to get involved in the club how would they go about that? Check out our website denverbulldogs.org. You may also want to Like the Club and Lady Bulldogs Facebook pages. Training for 2015 will commence in late spring/early summer. Thanks, Anna! Enjoy your off-season (if there is such a thing for you! ), have a fantastic 2015 season and we’ll be cheering for the Denver Bulldogs to win your 6th National Championship next year! 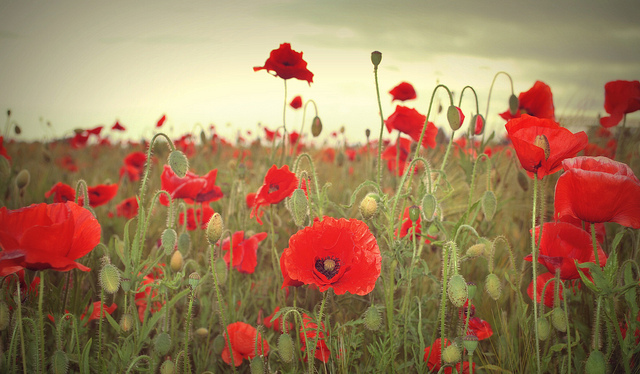 On this Veterans Day, Armistice Day and Remembrance Day we honor all the men and women, living and dead, who have served this country in times of war and in times of peace. Thank you for your service and sacrifice. Yesterday marked the 25th anniversary of the fall of the Berlin Wall – leave it to Google to put together a great video to commemorate the event. For more on the history of the Berlin Wall and its significance, visit The History Channel.